I always love heading down to Listowel for Writers Week, but LWW 2015 will be an even more precious memory. 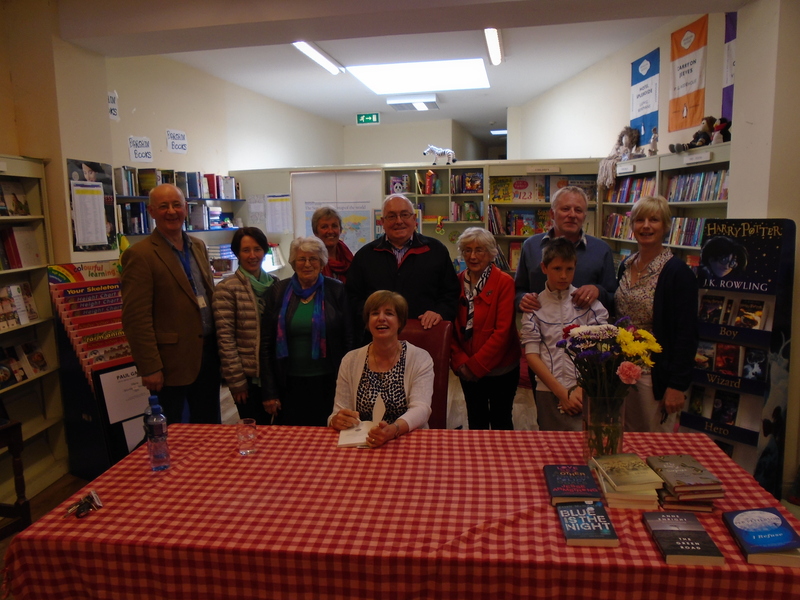 I was included as a fringe event in Woulfe's Bookshop on Friday afternoon. I met with family for a lovely lunch (thanks Fr John!) in Mae Fitz at 1pm and this really helped to keep me calm before I headed across the road to Woulfe's. 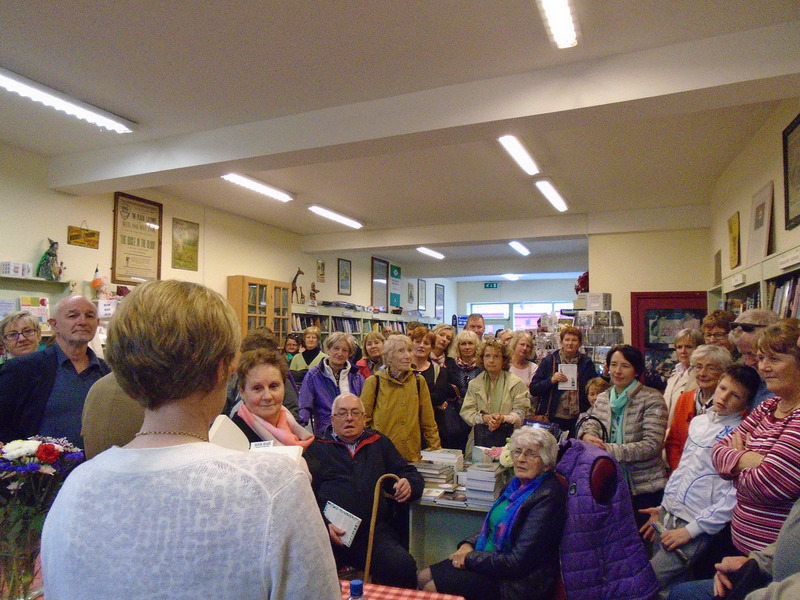 I don't know what I expected, but I was thrilled to see the bookshop full with people. They included a few familiar faces, but I didn't recognise most of them. I'm still not sure which is more daunting, to read your work in front of family and friends or in front of total strangers. Maybe a mixture of both is just right! 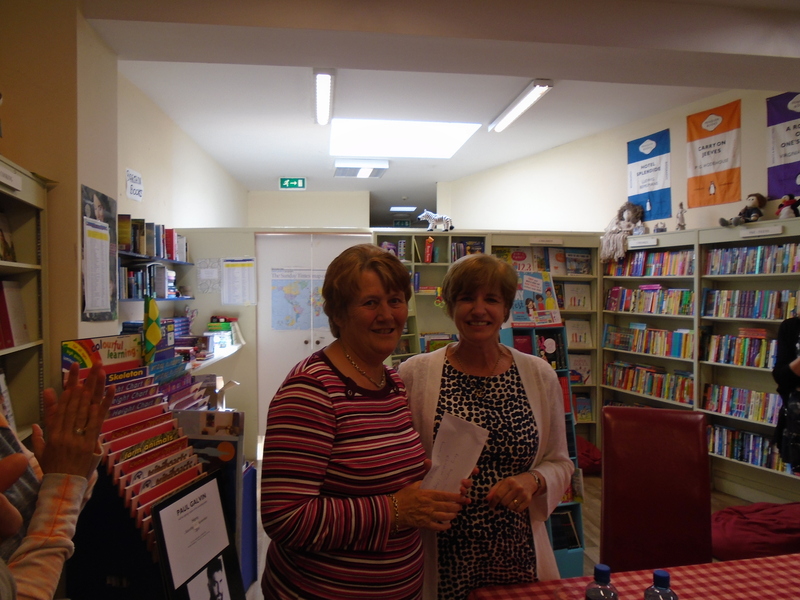 Brenda Woulfe the owner of this wonderful independent bookshop introduced me, outlining my family connections with Listowel. (My Dad Donie was born and bred in Sheahan's pub in William St). 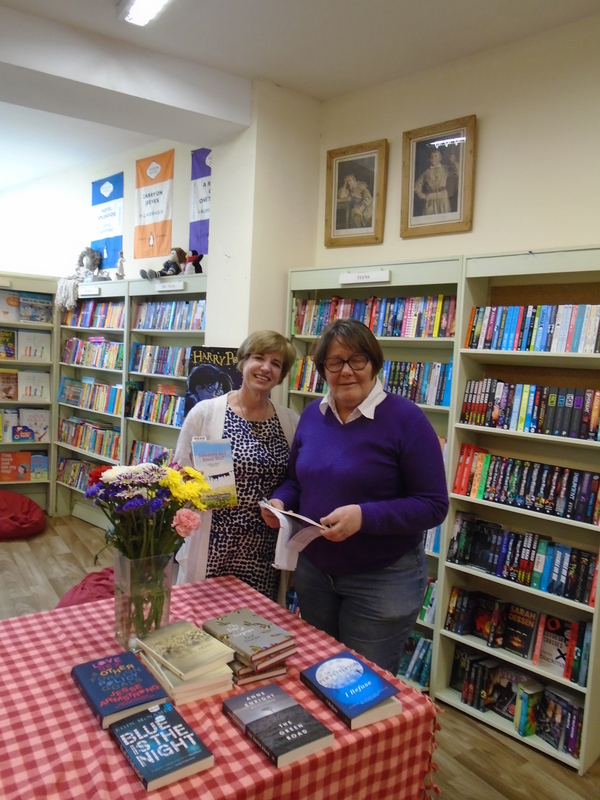 The first story I read was "Googling and Walking Frames", the ending of which was an apt segue into making the donation from the proceeds of the sales of the book to the Kerry Hospice. I was delighted to hand over a cheque for €3,030 to the local representative. I then read a story from the first section of the collection called "Thursday's Times" based on the character of a middle class woman living in South Dublin who has some delusions and engages in compulsive behaviours that have had reprecussions for her family. The crowd seemed to enjoy the readings and Brenda sold (and I signed) 25 copies of the book afterwards. Brenda kindly signed a cheque for the Kerry Hospice for €250 there and then which brought it to a magnificent total of €3,280. It was a memorable occasion for me. Sincere thanks to everyone, my family, friends, but most especially the hundreds of you who have been good enough to purchase my book. I hope you enjoyed reading at least some of the stories.